The Battle of Trincomalee was the fourth in the series of battles fought between a British fleet under Vice-Admiral Sir Edward Hughes and a French fleet under the Bailli de Suffren off the coast of Trincomalee, then India during the American Revolutionary War. The battle was fought on 3 September 1782. France had entered the American Revolutionary War in 1778, and Britain declared war on the Dutch Republic in late 1780 after the Dutch refused to stop trading in military supplies with the French and the Americans. The British had rapidly gained control over most French and Dutch outposts in India when news of these events reached India, spawning the Second Anglo-Mysore War in the process. The French admiral the Bailli de Suffren was dispatched on a mission to provide military assistance to French colonies in India. He arrived in February 1782, and immediately engaged the British fleet of Vice-Admiral Sir Edward Hughes in the inconclusive Battle of Sadras. After both fleets spent time in port repairing, refitting, and revictualing, they met again in the April Battle of Providien, south of the Ceylonese port of Trincomalee that was ended by a storm and then nightfall. Hughes put into Trincomalee, a formerly Dutch port the British had captured in January, for repairs, while Suffren went to the Dutch-controlled port of Batticaloa. Suffren and Hughes then met a third time off Negapatam, again with inconclusive results, after which Suffren anchored off Cuddalore to make repairs. Due to the exposed nature of the anchorage at Cuddalore, and the impending arrival of additional British fleets, Suffren decided to attempt the capture of Trincomalee to gain a safe harbour for his fleet where he might effect more substantial repairs to his fleet. (He had already cannibalized prize ships and transports, as well as housing in Cuddalore, to make repairs.) Suffren was meeting with Hyder Ali near Cuddalore on 28 July when he learned of the arrival of a French fleet near the southern end of Ceylon. This fleet included two ships of the line, a frigate, and transports carrying 800 troops and their supplies. He immediately sailed for Batticaloa, where the two fleets joined forces on 21 August. 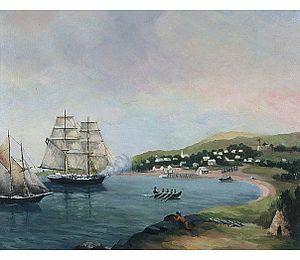 The next day, after ammunition and supplies were distributed among Suffren’s ships, they sailed for Trincomalee, where they anchored the same evening. On 25 August, after studying the defenses, Suffren landed 2400 men east of the main fortifications. Gun batteries were set up the next day, which then bombarded the fort for three days, until the wall was breached. Captain MacDowel, the British commander, was summoned to surrender on 30 August. 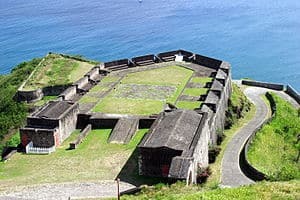 After negotiations, the fort’s garrison surrendered on condition that the French transport it to Madras and allow it to continue service in the war. French troops entered Trincomalee on 1 September. The next day, Hughes’ fleet was spotted approaching the port. Following the battle off Negapatam, Hughes had spent two weeks at see before putting into Madras for repairs. There he was joined by Sceptre and San Carlos. Notified by one his scouts that the French were anchored outside Trincomalee, Hughes lifted anchor and made haste to come to the garrison’s aid, but arrived one day too late. Suffren, now safe within the harbour, held council with his captains. Some of them, led by his second-in-command, had persistently opposed offensive actions against the British, and vigorously renewed their objections to the need for combat. Suffren, after confirming that his fleet outnumbered that of Hughes, argued in favor of action, as the destruction of the British fleet would greatly simplify land operations in pursuit of objectives of the French and their Mysorean allies. He accordingly gave orders to sail out and meet the British fleet. When they exited the harbour Suffren gave the signal to form the battle line. This command, even after being repeated several times, was poorly executed by his recalcitrant subordinates, and only a ragged line was arranged. Frustrated by this insubordination, Suffren then gave orders to hold fire until close quarters, and tried to communicate this by firing a gun from his flagship, Héros. This shot was misinterpreted by his captains as an order to open fire, and the whole line opened fire on the British fleet, beginning the action. The heaviest action was at the center of the lines, where Suffren and Hughes again faced off against each other. Héros was assisted by Illustre and Ajax, while Hughes, leading from Superb, was assisted by Burford, Sultan, Eagle, Hero, and Monarca. This lopsided conflict went on for about one hour before Suffren signalled for assistance. St. Michel and Annibal, commanded by insubordinate captains, stayed away, while Brillant eventually neared the action and gave some assistance. Thirty minutes later Ajax was forced to withdraw with heavy damage, and was replaced by Artésien. An hour later the situation became critical when Héros’ mainmast came crashing down, and Suffren was forced to scramble to make sure the British did not think that he had struck his colours. He had also run out of ammunition, having fired 1,800 rounds at the British ships, and continued to fire powder alone in an attempt to fool the enemy. At 5:30 pm, after about three hours of battle, the winds suddenly shifted to the advantage of the French fleet. The ships on the outer ends of their line, which had seen relatively light action, were able to bear on the battle at the center, bringing a new intensity to the battle. Hero lost her mainmast and mizzenmast, and Worcester lost her maintopmast. A number of British ships were disabled before night fell, and darkness ended the battle. While accounts differ, it appears likely that Suffren may have attempted to give chase when Hughes drew his fleet off and made for Madras. The French fleet entered Trincomalee harbour and began working to repair the extensive damage to the fleet. 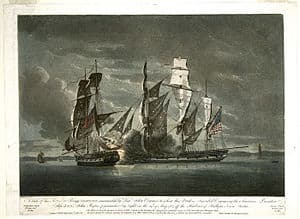 The damage to the British fleet was so severe that land commanders at Madras recalled troops from the field in case the French attempted an attack there. As he had following the battle of Negapatam, Suffren arrested three of his captains and sent them to Île de France for punishment for their performance in the battle. This performance was so noteworthy that even the British commented on it; the Calcutta Gazette reported that Suffren was very poorly supported by his subordinates, and one commentator wrote that they were “unworthy to serve so great a man”. Suffren sailed from Trincomalee on 30 September, arriving at Cuddalore on 4 October. Eleven days later he sailed for winter quarters in Achin, where he arrived on 7 November. Hughes, who did not want to remain in the exposed anchorage of Madras during the monsoon season, sailed for Bombay. His whole fleet suffered through the early days of the monsoon, and some ships took two months to arrive there.